Update of the Plastisphere on So. Alaskan Beaches – Neptune 911! So what shall we take first, the good news or the bad? Actually, almost everything I saw was a bit of both, so let me share impressions. We traveled from Seward in southern Alaska and headed southwest for about 300 miles, with stops, to the shores at Gore Point in the Pye Islands, Wonder Bay on Afognak Island, Blue Fox Bay on Shuyak Island, and Hallo Bay at Katmai National Park. We met concerned citizens — paid and volunteer — who collect and catalog trash on some of the more accessible beaches (a very relative term in a roadless region where every beach requires a boat or an airlift). At Katmai’s Hallo Bay, rangers had worked for a week to pile and bag stuff that doesn’t belong on a beach or in a national park; we hauled four tonnes of trash from a four-mile beach. The national park from which we removed one tonne of trash per mile is frequently visited by tourists, who don’t want to hire planes and guides only to find garbage. 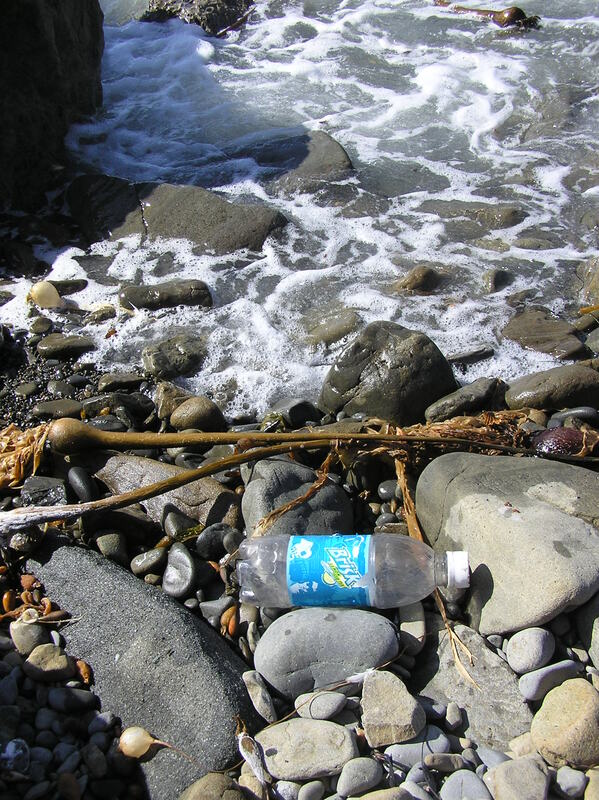 In this not-remote place, plastic causes harm and suffering. Before it gets ashore, it causes harm and suffering to seals, turtles, fishes, and seabirds who die from tangling in it and from the consequences of eating it and who feed it to their young. I’ve seen all of these creatures in trouble with trash. Even the tonnes of plastic we took were destined to be piled ashore in a landfill, though much of it could have been reused or recycled. We just moved it. That’s what the market bears. It’s too cheap to recycle because the makers and sellers don’t pay the costs of disposal. As with many “cheap” things, the price reflects only the fact that the sellers privatize their profits and socialize the costs. Many things priced cheap are really rather costly.